When my oldest child hit 6th grade, I remember being so surprised by how far he had come. Gone were the days of slowly decoding words. He was now reading much more complex books and really thinking about what he was reading. My second child had a thirst for math by this point, and we spent so much time chatting about challenging word problems and how we can apply math in so many places in our lives. I hope you enjoy 6th grade as much as we have so far! Composition– For 6th grade we use Following Narnia Vol. 1. My kids truly love this theme based book! It teaches a variety of writing while also visiting (or revisiting) Narnia. This gives us an excuse to reread the Chronicles of Narnia. Grammar– We continue with Fix-it Grammar Book 3 The Frog Prince. This book is more challenging than the previous two, but using this in conjunction with learning Latin gives the kids a solid foundation in grammar. Spelling– We’re almost at the end of our formal spelling journey with the second to last All About Spelling Level 6. Poetry– We continue using The Harp and the Laurel Wreath for poetry memorization. 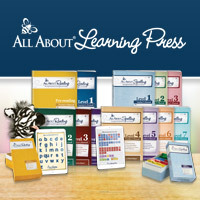 Latin– My children take Latin at our homeschool enrichment, however, Memoria Press’ Latin is a fantastic choice. History– All Ye Lands by Catholic Textbook Project is a great history book that covers world history through the mid 1800s. Science– It’s fun time! I love, love teaching chemistry! Elemental Science Chemistry for the Logic Level is in depth and fun! Music– Piano lessons, choral singing, and music listening!